This post originated as a response to a question I received via the One Shore contact form. 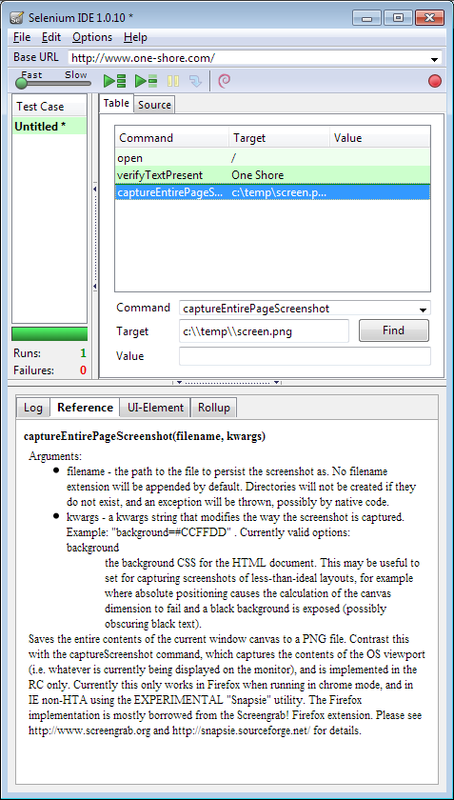 You can capture a screenshot with the Selenium command called (unsurprisingly) captureScreenshot. There is even a handy captureScreenshotOnError command. Typically with Selenium RC you’d use a test framework (like junit) and use the features from that that for getting results. 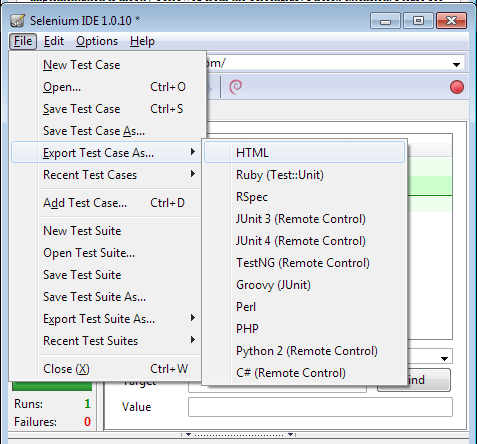 Unfortunately, I don’t know of a way to export test results from Selenium IDE. You can “Export” your tests to a number of formats and then run them as Selenium RC scripts. Unfortunately, Selenium IDE is pretty basic and not a “real” IDE — just a simple recorder. I hear they’re working on changing that though.